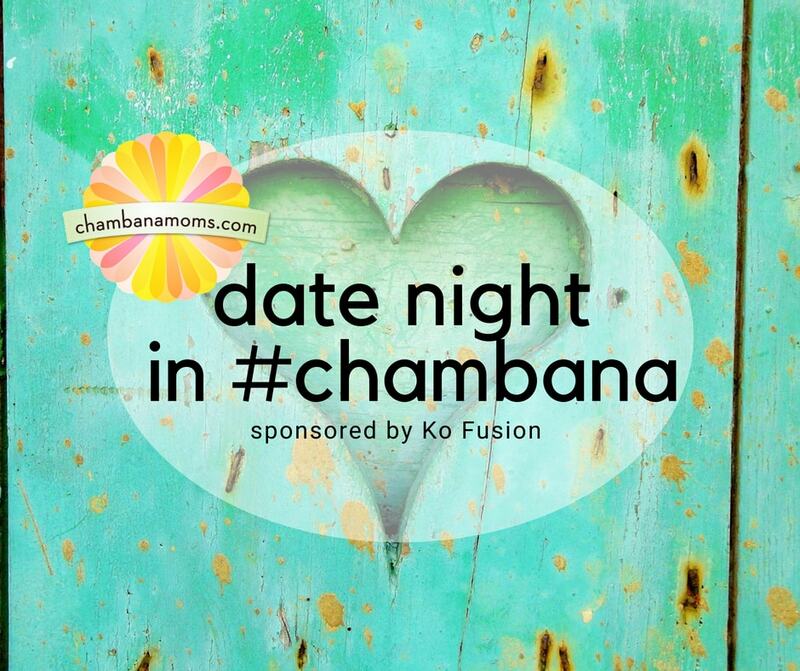 75 Champaign-Urbana Date Night Ideas is sponsored by Ko Fusion, located in downtown Champaign. For date night this week, why not give Ko Fusion a try? Ko Fusion is celebrating the winter season with a wine dinner built around our ever expanding wine program. Enjoy thoughtfully curated menu from Chef Nigel Morgan with flavors from around the world. Relax in conversation and food all while learning tasting notes on the wine as well as tips on how to put together your own perfect pairing. Space is limited, with only 20 seats available, so Click or call to make a reservation today! 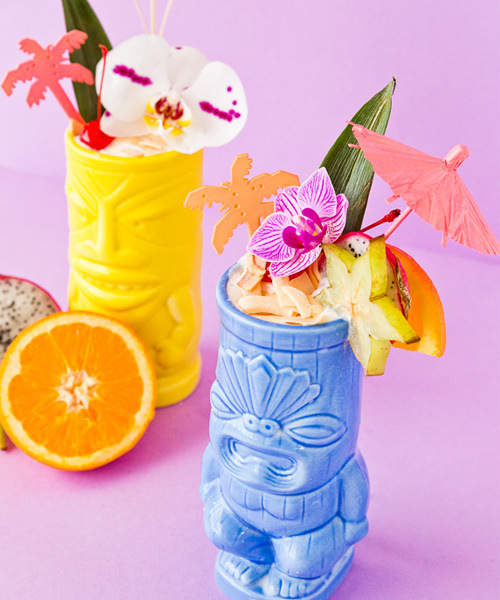 Whether you have a hard time getting away, or you have a regularly scheduled date night, sometimes coming up with something to do that night is difficult. SPONTANEOUS OR PLANNED? : Some of these require some planning; others you can do on the fly. LOCATION: Many fun Champaign-Urbana date night opportunities are seasonal, but we have ideas for anytime of the year, indoors and outdoors. Also, date night is not even always at NIGHT. COST: Some of these ideas ARE FREE. Some have minimal cost. Others can get pricey. There’s something for everyone. HOW TO CHOOSE: If choosing just one is difficult, write your favorites on slips of paper or craft sticks and pick them from a jar. DISCLAIMER: Please note that while do our best to keep the information on this list updated, anything is subject to change without notice. NEED CHILDCARE? : Check out our guide on how to find a babysitter and our article about parents nights out. 1 | Of course there is nothing like the variety of ARTS ON STAGE than at Krannert Center for the Performing Arts. All genres of music, dance, and other performing arts have a home here. And there is something for every budget. 2 | If it’s BIG NAMES you crave in a classic, beautiful venue, then don’t forget to peruse the calendar of events at The Virginia Theatre. Check out the 2018-19 schedule. 3 | Enjoy LOCAL THEATRE at the Station Theatre in Urbana. A small, intimate theater, these shows have a wide range – from comedy to drama to scifi -with as quality acting as you’ll find in the biggest of cities. 4 | ARENA SHOWS, along with BROADWAY TOURING PERFORMANCES, can be found once again at the renovated State Farm Center. 5 | See an ART FLICK at the Art Theatre. It doesn’t have to be artsy. Check out the late-night shows that are often cult or modern classics. You don’t have to be a member of the co-op to see a movie there, but membership has its privileges. 6 | The Virginia Theatre also is a great source for VINTAGE MOVIES, at vintage prices. 8 | Catch an Outdoor MOVIE IN THE PARK. Check our calendar for free/cheap movie ideas. Some are even in the pool! 9 | Take a drive to the Ovation Theater in Bloomington for a unique movie experience that includes a personal waiter. Gives new meaning to DINNER AND A MOVIE. 10 | Enjoy IMPROV with Zoo Improv on the last Friday night of the month at the SoDo Theatre. 7 pm show is family friendly, 8:30 pm show is for adults only. Pay as you wish. 11 | Solve the case at a MURDER MYSTERY DINNER SHOW. There are multiple locations where you can find these special events, often put on by CUTC’s Seven Corpse Murder Mystery Dinners. You can find them hosted by Alto Vineyards, Sleepy Creek Vineyards, Allerton Mansion, Jupiter’s at the Crossing and more. 12 | Laugh together while taking in a COMEDY SHOW at Soma or Clark Bar. At this writing, C-U Comedy has a weekly showcase on Wednesday nights at Soma, while there is Open Mic night at Clark Bar in Champaign on Thursday nights. Covers vary. 13 | Enjoy LIVE MUSIC. Seriously people, performances from all genres can be found all week long. Head to CU Bands and Fans, where they compile concert info for Champaign-Urbana and surrounding areas. 14 | Enjoy live COUNTRY MUSIC performances at the Rose Bowl in Urbana. Its Monday night Hootenanny is a local favorite according to our friends at Smile Politely (and is free, to boot). 15 |Love to see a show, but on a tight budget? There are many FREE RECITALS performed by University of Illinois School of Music students and guests, mostly during the school year (between the end of August and early May). Check the schedule HERE. 16 | JAZZ it up. CU Jazz boasts a calendar featuring acts all across Champaign-Urbana. The Iron Post in Urbana is a particularly popular jazz venue. 17 | Pack a picnic basket and head to Alto Vineyards in Champaign – a best kept secret – for its MUSIC AMONG THE VINES series. Most of them are Saturday nights, from mid-May to mid-September. 18 | Attend a local FESTIVAL. Summer is prime festival season, but they happen all year long. Some favorite music festivals: Pygmalion, Folk & Roots, Docha. 19 | Find MUSIC IN THE PARK all summer long. Find a great list of locations in our Guide to Summer Outdoor Concerts. 21 | Explore the exciting world of SALSA every Saturday night at Soma, or take a beginner class at Defy Gravity C-U. 22 | Slap on your boots and go LINE DANCING. Check out City Center on Wednesday nights. 23 | Learn to SWING DANCE! The Illini Swing Society offers lessons and sometimes they are free; another organization called C-U West Coast Swing Dancers has regular events as well. 24 | Check out our creative friends for scheduled Date Night paint and sip events, group events or OPEN PAINTING sessions. An artist will lead you step by step through an acrylic painting. Each of them adds a different twist to the same concept. 26 | If you love KARAOKE, we have plenty of it in Champaign-Urbana. Thursday nights at Memphis on Main is a mainstay. The Live Karaoke Band plays at Boomerang’s the last Thursday night of the month. If you don’t want to sing in public, you can rent a private Karaoke room at Star Karaoke in Savoy, starting from $20 per hour. 28 | Go to the LIBRARY. It’s a whole different experience going to the library WITHOUT KIDS. Many libraries, including Champaign, Urbana, Mahomet, Tolono and Rantoul offer some adult-centric programming as well. In addition to good reads, offers a variety of programs including game nights, author talks and more. Champaign and Urbana are both open until 9 pm Monday through Thursday. 29 | Find a quaint shop and enjoy COFFEE together. Some of our favorites: Aroma Cafe in downtown Champaign or the new Avionics in midtown Champaign, or Caffee Paradiso in Urbana. Get a cultural experience by going to Caffe Bene on campus. Some have live music. 30 | Get ZEN and learn about Japanese culture – sign up for a tea ceremony at the Japan House in Urbana. 31 | STAR WATCH at the historic University of Illinois Observatory. The telescopes are open to the public generally on the second Friday of the month on campus. During the spring, summer, and fall months observing usually takes place between 9-11PM. During the winter months observing usually takes place between 7-9PM. Best part? It’s FREE. 32 | VOLUNTEER together. Find a cause you’re passionate about; area organizations are always looking for volunteers, especially in the summer when fewer students are on campus. 33 | Relax and rejuvenate with a COUPLES MASSAGE. Our readers recommend their favorite massage locales in Champaign-Urbana (note: not all offer couples massage). 34 | Indulge in DESSERT. We have a whole list of our favorites. 35 | Take on the Chambanamoms.com ICE CREAM TRAIL Challenge. Tick off our list. We’re already working on a second ice cream trail. 36 | Have a PICNIC in the park. We have a list of our favorite places for picnicking in the Champaign-Urbana area. 37 | Go BREWERY HOPPING. Head to Destihl or Blind Pig in downtown Champaign; J. T. Walker’s in Mahomet; or Tryptych in Savoy. All offer tastings and flights so you can get your taste on. 38 | Do a WINE TASTING. Sleepy Creek Vineyards offers wine tastings daily. Closer to home, find them at Art Mart. Or look out for special Wine Tasting events. 39 | Take a SELF-GUIDED WALKING TOUR OF CAMPUS. Maybe you aren’t as familiar with the University of Illinois campus, or maybe you want to relive the glory days. It doesn’t matter. The University of Illinois Admissions team has put together two self-guided tours you can do on your phone: the Quad and the Engineering campus. FREE. 40 | Take a DRIVE and explore one of our area’s great small towns – Monticello, Paxton, Tuscola, Mahomet just to name a few. 41 | Take in the sites of the city in a HORSE DRAWN CARRIAGE. Somewhat new to Champaign, a very romantic trip. 42 | RIDE CHAMPAIGN ON A PEDAL BIKE. Did you know Champaign is the only city in Illinois with pedal bikes? Illini Pub Cycle offers seats for individuals on Friday night rides, meaning it’s possible to get on when it’s just the two of you. 43 | Sign up for adult GYMNASTICS together. We love that our friends at Champaign Gymnastics Academy offer this adult class. If you can commit to a weekly session, they last for eight weeks. 44 | Check out a YOGA CLASS together. Many local yoga studios, including Amara Yoga and Living Yoga, offer evening classes and drop-ins are welcome. Prices vary. 45 | Spice up your life with a COOKING CLASS. Keep your eye on the Common Ground Food Co-Op calendar, as classes happen on evenings and weekends. Campus Rec offers very reasonable classes, and they are open to the public. Parkland College also offers some cooking/baking classes, but plan way ahead; sources tell us they fill up quickly. 46 | Want to learn a new skill and perhaps new technology? Sign up for a WORKSHOP together at the CU Fab Lab . Past workshops have included laser cutting, etching, and animation. Or check out Makerspace Urbana on Wednesday nights. 47 | Go to a LECTURE on campus. This is a University town, after all; there are lots of smart people flowing in and out of ouor campus all the time. Check out the Illini Union calendar, for one; there are other places to look. Note: some events may be explicitly for students only. 48 | GO ILLINI. There are always plenty of opportunities to see Illinois in action, and even if you aren’t a big fan, games are FUN. For the schedule, visit fightingillini.com. And this can be a cheap date, too; events other than basketball (men’s and women’s), volleyball, and football, are FREE. 49 | Watch HOCKEY in action at several different locations. We list teams in Champaign (Illini Club Hockey) to Bloomington to Danville to Peoria. 50 | Cheer on FAST CARS at the Farmer City Raceway. 51 | There’s few things more charming in the summer than going to the ballpark. After the Illini leave town, there are BASEBALL teams to watch all over Central Illinois. Our favorite: there’s few things more charming than old Danville Stadium and seeing the Danville Dans. 52 | Go BOWLING! Of course, our favorite local bowl might be the most unique – in the basement at the Illini Union. 53 | Compete in a friendly game of LASER TAG at Skateland in Savoy. 54 | If you’re into PAINT BALL or want to try it, we hear Salt Fork is the place to go. 55 | Shoot some POOL. Jupiter’s is well known for pool leagues; the Illini Union also has a pool hall. 56| Compete with others in TEAM TRIVIA for your chance to win cash and prizes. You can find events at numerous locations around Champaign-Urbana, most every night of the week! 57 | Hit the BATTING CAGES at Putt Zone (outdoor, seasonal only) or The Cage (indoor, open year-round, reservation required). 58 | If you enjoy solving puzzles, ESCAPE ROOMS are all the rage, and there’s at least three different escape rooms in Champaign-Urbana. 59 | Try ICE SKATING at the UI Ice Arena. 60 | Play MINI-GOLF without the kids (okay, without your kids) at Old Orchard in Savoy or Putt Zone in Champaign. 61 | Lace up and ROLLER SKATE! Relive those high school memories at Skateland. 62 | Grab a frisbee and try DISC GOLF at Dodds Park in Champaign or Brent Johnson Park in Mahomet. 63 | Try your hand at ROCK CLIMBING. Urbana Boulders is open until 10 p.m. daily. 64 | Shoot some ARCHERY at Bowmentum’s 24-hour indoor range in Tolono. Ask about equipment rentals. 65 | Go FOOT GOLF. Yes, Foot Golf! Combining soccer and golf, this is a fun and relatively easy way to have an active date. At Lake of the Woods in Mahomet. 66 | Go SWIMMING. Again, it’s a totally different experience to go swimming without the kids. If it’s outdoor swimming, Crystal Lake Family Aquatic Center is open until 8 p.m., the latest of the area public pools; check out its annual ADULTS ONLY swim nights. The Urbana Indoor Aquatic Center has open swim hours until 9 p.m. year round. 67 | Go GEOCACHING OR LETTERBOXING! Free and easy, both can lead to quite an outdoor adventure. 68 | Take advantage of the many Champaign-Urbana area greens and go GOLFING. Legends in Southwest Champaign is manageable for date night at 9 holes. 70 | Check out our Fun on the Farm guide and visit a local FARM for flower picking, fruit picking, traverse a corn maze, and more. 71 | Make the trip west and explore the beauty of ALLERTON PARK. Enjoy the various gardens, trails and more. It’s one of the 7 wonders of Illinois for a reason. 73 | Break out YOUR BIKES AND HELMETS. One ideas is check out the still new Kickapoo Rail Trail bike trail. 74 | Find a local watering hole and go FISHING. Be sure to bring your own gear (lots of big box stores will sell starter kits if you don’t have any). Beware that adults fishing in Illinois need to have a license ($15 for a year, per adult). 75 | Hit one of our many awesome urban trails and depending on the weather – WALK, HIKE, SNOWSHOE or BLADE. What date night ideas would you add? Post below or email us – editor@chambanamoms.com.